Since earliest times sea-faring nations England, Portugal, France, Spain and the Netherlands vied with each other to solve – the Holy Grail of Navigation – longitude – calculating with precision a ship’s position while at sea beyond sight of land. 1714 – Westminster: Legislation, The Act of Longitude 1714, followed an enquiry into England’s first recorded 18th century maritime disaster. In 1707 off the Cornish coast in heavy weather six (6) of Admiral Clowdisley Shovell’s ships lost their bearings and were dashed to pieces on the Scilly Isles with the loss of 1500 lives. As a consequence in 1714 The Board of Longitude was established to invite and evaluate submissions and award a prize of £20,000 to whom-so-ever solved the problem of longitude at sea. Charles Green son of ‘a prosperous’ free-hold Yorkshire farmer was born in Swinton towards the end of 1734. He received a broad education with a strong emphasis on science. John his elder brother took Holy Orders and established a school in Soho, London where Charles found his ‘heavenly passion’ astronomy. After graduating he stayed on for a time teaching mathematics. In 1760 Charles applied successfully for the position of Assistant Astronomer at Greenwich Observatory where in that capacity he served three (3) Astronomer Royals. In 1742 James Bradley first of these men succeeded Edmond Halley of comet fame. In 1720 Halley himself had followed John Flamsteed the inaugural Astronomer Royal, appointed by King Charles II in 1675. Flamsteed remained at Greenwich until his death in 1720. Halley then held the post for twenty-two (22) years from 1720 to 1742. Bradley’s tenure too was lengthy he reigned between 1742 and 1762. Bradley is celebrated principally for his work on the speed of light. In 1728 he estimated light moved at the speed of 295,000 km (183,000 miles) per second. Three (3) centuries later – 2017 – Bradley’s calculations were amended to 299,790 km (186,290 miles) per second. 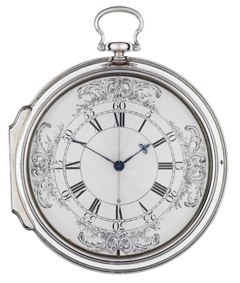 If only Bradley had stuck to light and left time and longitude to Mr. John Harrison inventor of an accurate marine chronometer – a sea-going ‘pocket-watch’ – many a sea-farer would not have met a watery end.